The Summer Term is always extremely busy because of the number of teachers who visit and the ex tra paperwork involved in preparation for our children moving on to school in September. 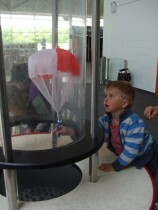 For me, the highlight of the term was our visit to the Winchester Science Centre and Planetarium because it was both fun and educational. We all enjoyed “The Secret of the Cardboard Rocket” show which tied in beautifully with our project work on the solar system. After the show, we had the Science Centre virtually to ourselves and the children and parents were able to enjoy all the hands on exhibits without any cues or worries about other people! 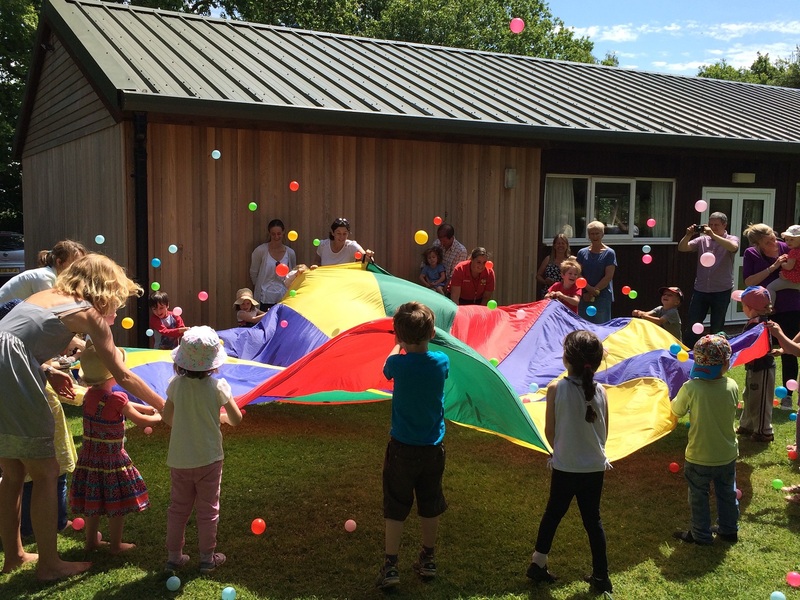 Our Games Day at the end of June was organised by Kerrie and Lorna from Playball. 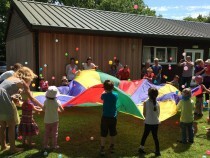 They organised a circuit of different races and activities for the children to participate in and move round in teams. The children had a great time and impressed parents with their ball skills and their agility on the obstacle course. After the children’s races and some parachute games, parents participated in running races and their competitive spirit and desire to win or at least run as fast as they could was remarkable! In music, Annaliese introduced the children to Holst and the “Planets”. We also had a go at “The Volca no” from Write Dance which combines movement and music specifically to develop children’s gross motor skills in preparation for reading and writing. 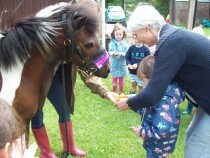 During the term many parents came and offered their time and expertise to us. Our thanks go to Amanda who grew and helped the children plant sweet peas in our garden, Maike who led several experiments involving “floating and sinking”, Charlotte who brought Dinky her Shetland pony to see us and Simon who brought in a multitude of different instruments for the children to try. 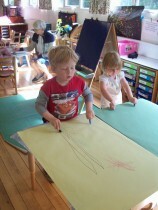 Several parents also came into Nursery to see some of the things that their children have been enjoying and practising. We have entered our water colour paintings of Planets in the Froxfield and Privett Horticultural Show which takes place in Froxfield Village Hall on Saturday 22nd August. We hope to see some of you there. We look forward to seeing everyone again in September and are planning to invite our leavers to the naming of our Wendy House. Annabel and Merryn are creating a name plate for us. We are also expecting Osted for our re-inspection and we are working hard to make sure that we are ready. Your willingness to speak out through your messages on Parent View, your letters to Ofsted and the local press has been what has kept us going through what has undoubtedly been a very difficult time. We cannot thank you enough.